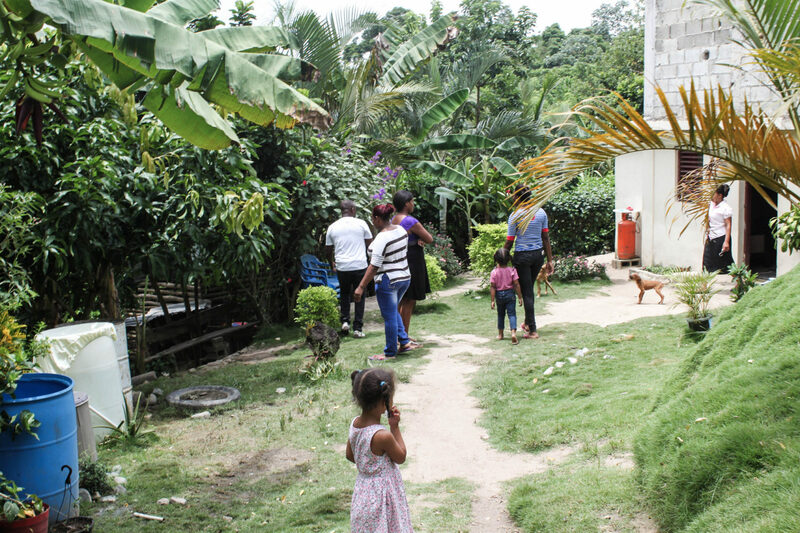 The community of La Joya is nestled an hour away from Piedra Blanca in the Dominican Republic. Those living in living these rural areas often lag behind the rest of the country’s economic development. As the Dominican Republic experiences economic growth, the gap in between the rich and poor has grown as well. Marcos and Maria fill La Joya with joy and a love that overflows from the two of them. Marcos can be readily found with a large smile fixed on his face, engaged in conversation, or with his arm around his wife. Maria greets people with a warm smile and a hot meal, as the community cook. Marcos was the village coordinator of his Village Savings and Loan Association (VSLA). The group was founded as part of Plant With Purpose’s efforts to create opportunities for rural poor communities in the Dominican Republic. He has since stepped down in order to mentor Marisol, the new, younger coordinator. A young girl surveys her home village of La Joya. They have found happiness as their community’s development has allowed them to pursue purpose. VSLAs are a key instrument in Plant With Purpose’s approach to international community development. When participating, members can save their money and make loans to each other. Farming families can use these loans as investments in their farms to start growing out of poverty. In many rural areas, banking opportunities are unavailable. 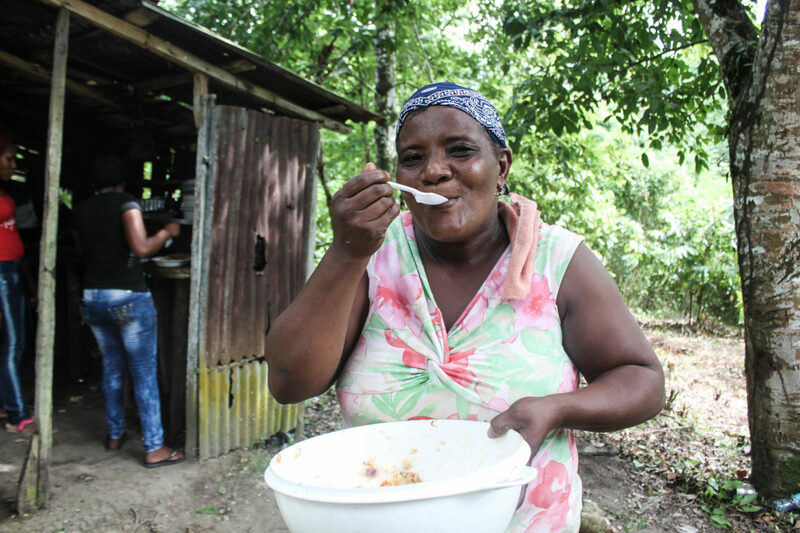 Maria samples some of the food she has prepared for the village. Purpose is often found when you can use your talents to help others. 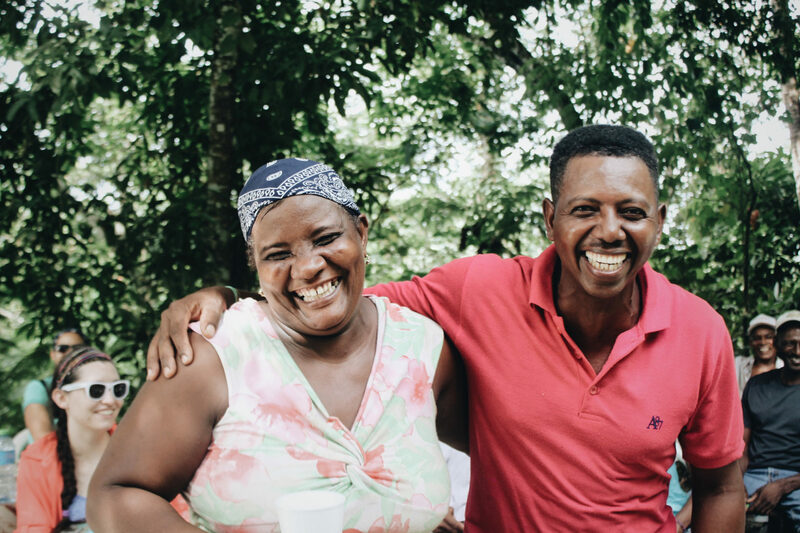 As Marcos and Maria have earned new economic opportunities, they have also found community and purpose through the group. “I feel so blessed to be a part of this group. I encourage people to continue their good work because we have found happiness in this group,” Marcos explains. Empowerment matters because growing out of poverty isn’t just an escape from something. It’s arrival at something else: a life of purpose. One where you can use your gifts to help serve your neighbors. Plant With Purpose envisions a world where every community, no matter how rural, has a chance to save money and to find something they’re good at. A gift of $22 can create this opportunity for another rural family every month. Learn more about becoming a Purpose Partner.